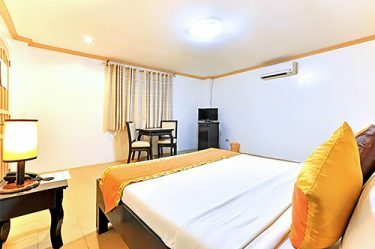 Our Standard, Deluxe, and Suite Rooms are affordable accommodation options equipped with air-conditioning, hot and cold shower, mini-refrigerator, and cable TV. They are perfect if you are here to bask in the sun and experience all the exciting things that the island can offer. 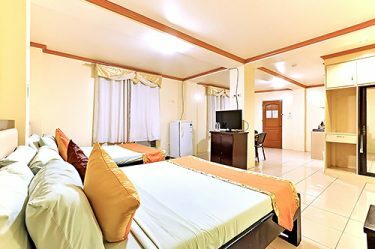 If you plan to stay here longer with your friends or family -- then our Bachelor's Pads and Apartelle Units are your best options. They come with the same amenities as our other rooms, with additional kitchen and dining areas. 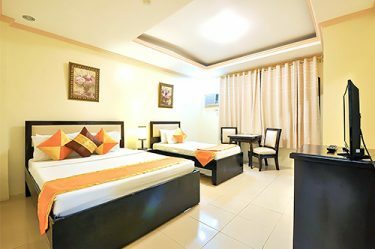 Our rooms are all designed to cater to your needs. 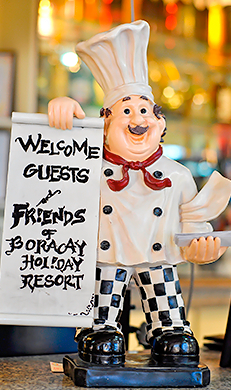 Make us your haven away from home, and enjoy your well-deserved Boracay vacation. 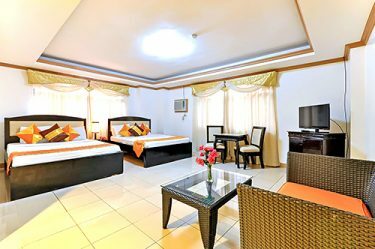 Boracay Holiday Resort is a Mediterranean-inspired resort located at the heart of Station 2, Boracay Island. 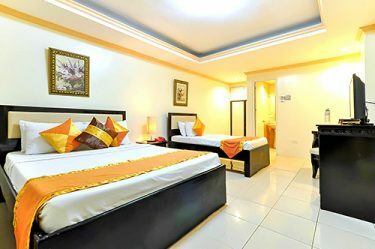 It is the perfect place to stay while enjoying your well-deserved Boracay vacation. Stayed here for 3 days with my family 4 adults and a baby. It’s 4 mins walk to the beach and close to the famous Bon Chon fastfood restaurant. We got a Deluxe Room which has 2 queen size bed, a fridge, tv and table. It’s really spacious. They have also a big swimming pool Staff were also accomodating and breakfast is great. We would definitely come back to this hotel. Boracay Holiday Resort has a Restaurant where you can order your food. If you are staying on our Bachelor's Pad or Apartelle Units, you can purchase your groceries and fresh goods from nearby D'Talipapa and cook it on your own kitchen.